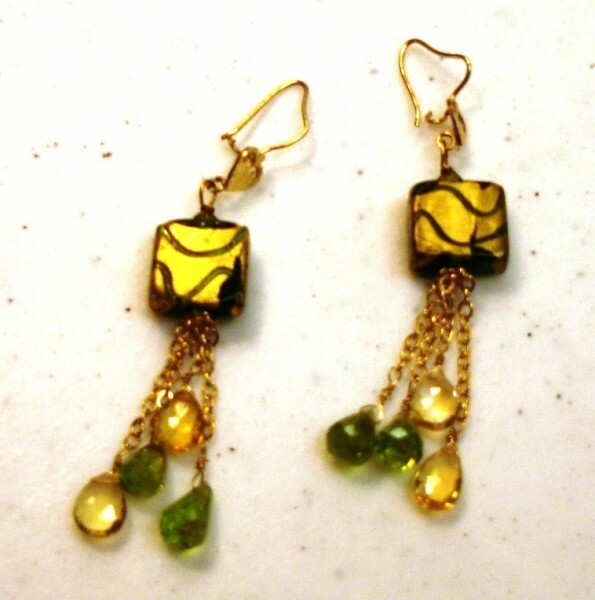 I wanted to make a pair of earrings that colorful and flirty. 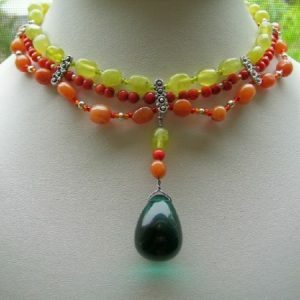 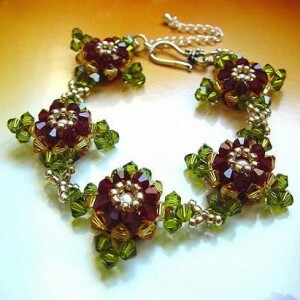 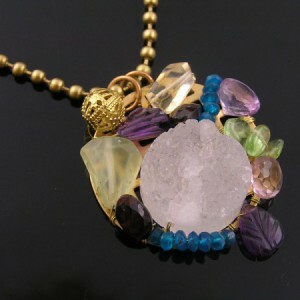 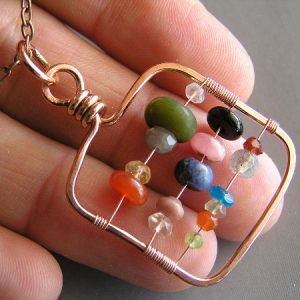 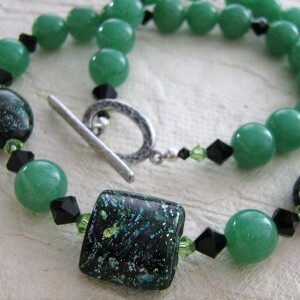 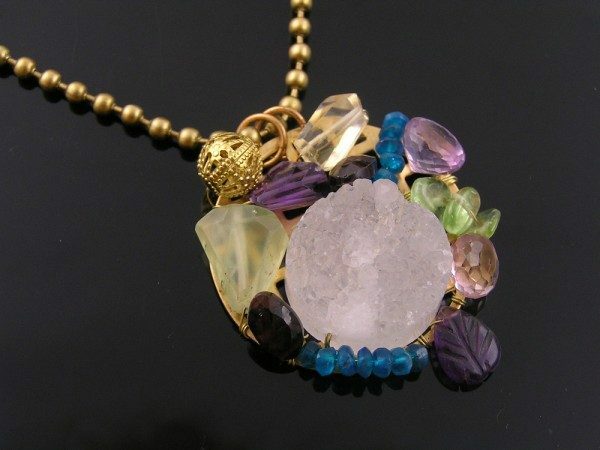 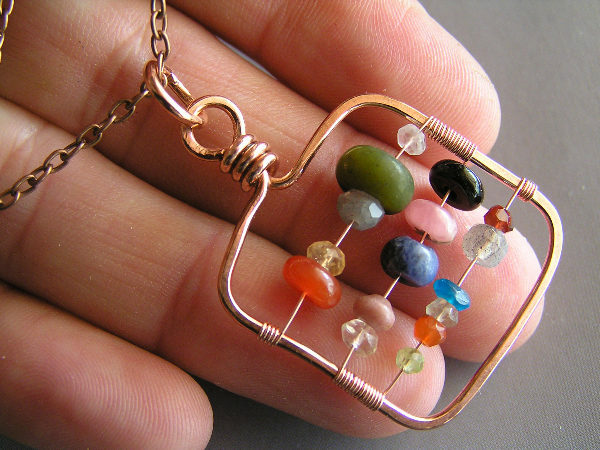 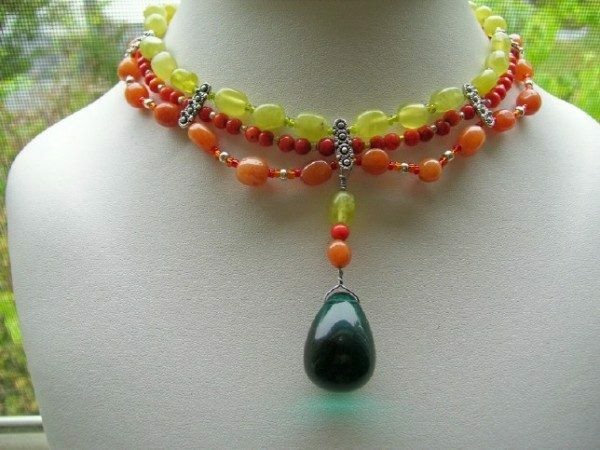 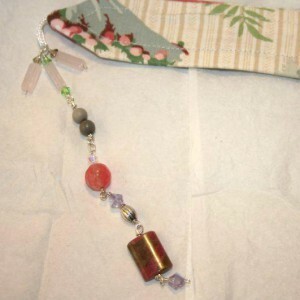 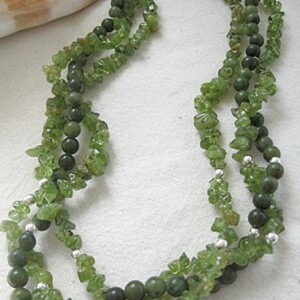 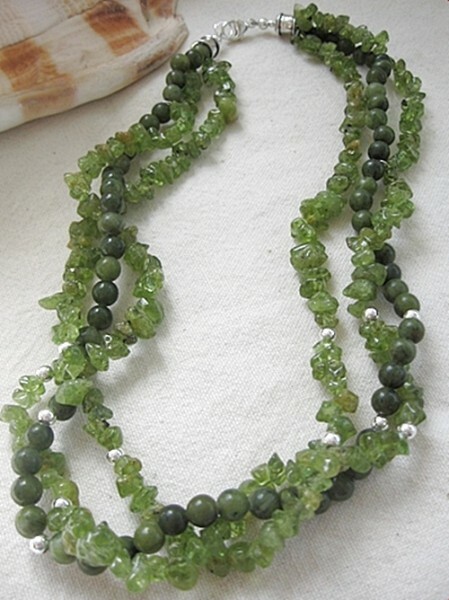 I used the Venetian square beads as the guide and created my design from there. 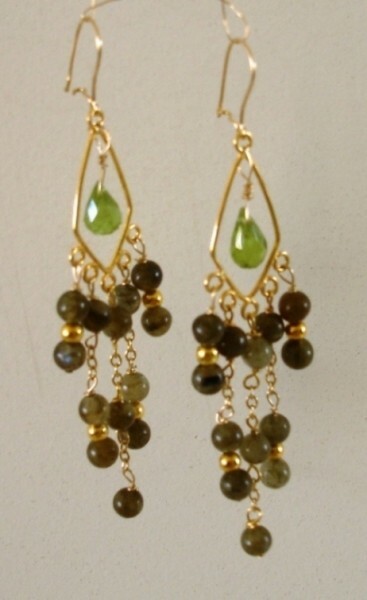 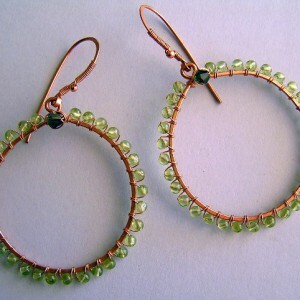 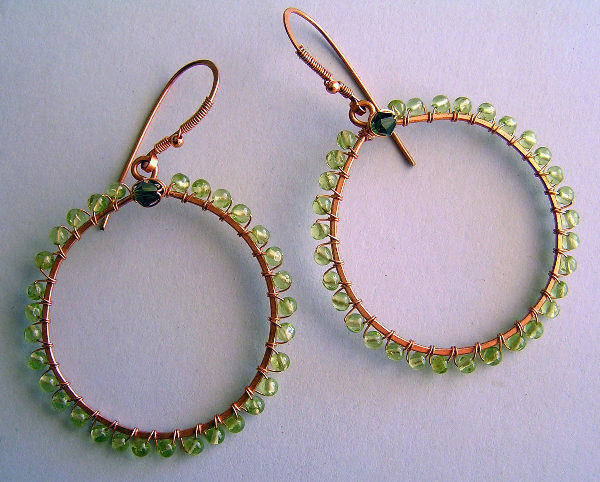 The earrings were made using Gold-filled chains and genuine faceted teardrop peridot and citrine gemstones. 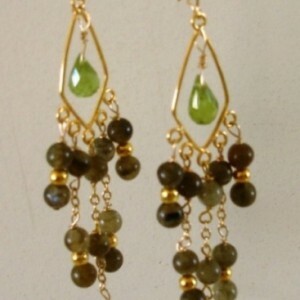 The earhooks and heart designs are 14K gold.